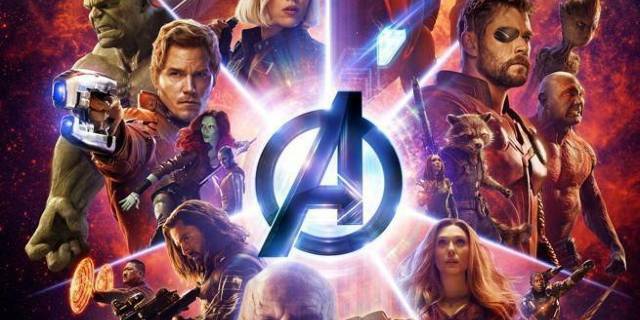 I'm not going to go eagle-eyed crazy over this the way some other sites have, but it is rather fun to speculate on the title of Avengers 4. In the past we'd heard clues about the title would begin to appear after the trailer for Captain Marvel, which arrived yesterday. And just a day later we have directors Joe and Anthony Russo teasing the title in this rather dull set photo, captioned simply "Look hard..."
Avengers: Endgame sounds pretty reasonable, and would definitely tie-in to the expected conclusion to the Marvel Cinematic Universe as we know it. However, the Russos previously confirmed to Uproxx that the title is never said at any point during Infinity War, and we know Doctor Strange mentions the "endgame" specifically. I mean, they could be lying or being super literal about it. If the title is Avengers: Endgame then no, I guess Strange doesn't actually say it. I prefer to look at it a little differently. I see the four "As" and what comes to mind is Avengers 4ever, or some other play on words. It would be a nice callback to the Avengers Forever comic series which did a lot of playing around with the timeline, and so far we've seen a lot of evidence that time travel will play a big role in the upcoming movie. So that's my guess and I'm sticking with it. Avengers 4ever opens May 2019.